Are rest and recovery breaks paid? How about meal breaks? What is the minimum wage in California? When am I entitled to overtime pay? Print, save or bookmark our useful 2019 California Wage & Hour law InfoCard, and you’ll always have convenient access to the answers to these questions and more. We created our InfoCards so that California employees can access their employment rights with simplicity. Is your employer disregarding your rights, despite your various attempts at asserting them? Sometimes attorney involvement is necessary in realizing employer compliance with California wage & hour laws. 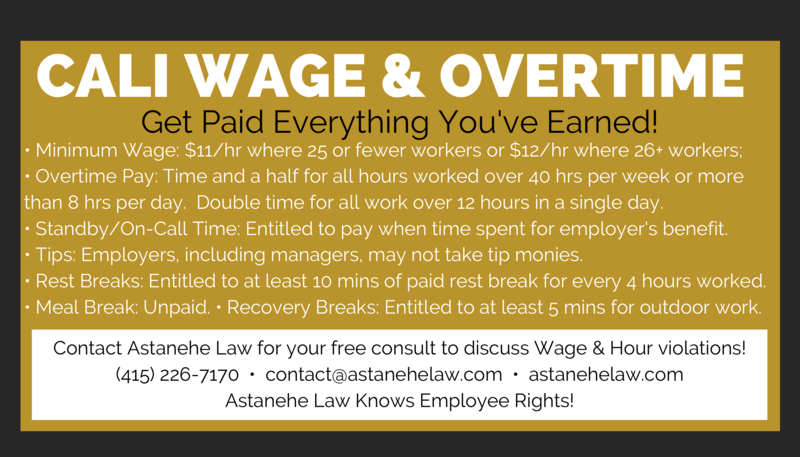 Contact Astanehe Law today for your free consultation. 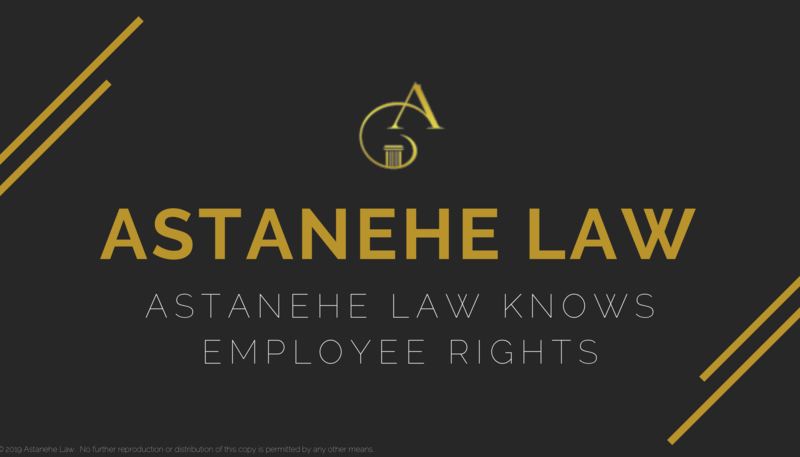 Astanehe Law may be able to assist you with your employment claim. Need More Wage & Hour Law Info? There are additional wage & hour laws California employees need to know, including paystub regulation, record retention policies, and wage and hour violation enforcement procedures. Unfortunately, we couldn’t fit them all on this InfoCard. Click here to learn more about your California Wage & Hour laws, including higher minimum wages in certain California cities.